This story of a home exchange to Vancouver was shared with us by Lyly. I went to Vancouver, Canada! The owner was very friendly and helpful. They spent time to take us to the metro and gave us free bus tickets during the time we were staying. They provided all information we might need for our trip. The host actually stayed in the house with us. They provide brochures and gave us a ride around their area. They also gave us homemade beer. They were a very nice couple. The Vancouver old downtown city, Chinatown, Vancouver University, and Sea World. We even took a special trip to Victoria Island to see the Butchart Garden. The Vancouver area is so beautiful and the kindness of the host was incredible. That will be unforgettable. 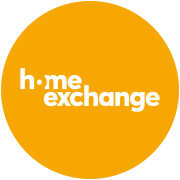 HomeExchange is the best program to travel with. I can save money and I can go around the world without a single worry. That makes it the absolute best way to travel.